I visited Bucharest at the end of September to participate in the ICSC’s first retail conference for south-east Europe. It was truly inspirational to see the latest trends in shopping centre design, centre management and retail marketing. It crystalized in my mind how far retail in Slovenia has to go. There has been so little competition for so long that developers and owners of malls simply do not have to work to get shoppers through the door. Marketing campaigns are basic and typically consist of a newspaper with special offers. Centre events are often lacklustre affairs such as photographic displays. This will of course change. There are many pipeline schemes in Ljubljana. The current retail space will increase by approximately 150,000m2 when all the new schemes eventually come on line.Emonika plans to open its doors in Spring 2015. Interspar Šiška is hoping for building permission soon. 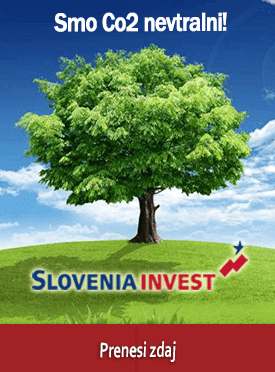 Supernova Rudnik will extend by 25,000m2 as soon as sufficient pre-lets are in place. And Stožice will be rescued, and bring some additional retail space to market but perhaps not the 55,000m2 originally planned. Existing Ljubljana retail developments will not only face competition from new schemes, but also from internet shopping. Goldman Sachs predicts that worldwide e-commerce sales will reach $963 billion by 2013, growing at an annual rate of 19.4%. This presents a real threat to the owners of retail space and shopping centres will have to become places to do things whilst online retailers will be where you go to buy things. Shopping centres will increasingly become places for ‘retailtainment’. The retail environment will heat up considerably when the new space in Ljubljana becomes available. The number one priority for developers of shopping malls is to design and build something that is attractive enough to get shoppers in. For the retailers, the number of shoppers in the mall is key. This is known as ‘footfall’. The number of transactions in the centre depends largely on the number of shoppers. The owners of malls receive not only fixed rent from retailers, but also turnover rent – a small share of their sales. Footfall is therefore directly connected to the value of the property. The second most important factor is tenant mix, but that is a subject for a separate article. Leisure elements in shopping centres are becoming increasingly important, as malls become places to meet and interact with friends, rather than pure shopping destinations. Europeans are demanding more leisure time and more from their leisure time. Most shopping centre developers embraced this concept a while ago and there are now many malls in Europe with multiplex cinemas. However a multiplex cinema is now not enough to guarantee numbers as so many malls have them, and the boundaries are constantly being pushed. Now children’s adventure playgrounds and climbing walls are considered essential for new developments. Some are even introducing petting farms for kids. One amazing retail centre is the Dubai Mall, developed by Emaar Properties. It has half a million square metres of retail space, 10 times the size of Citypark in BTC. The centrepiece of the mall is an aquarium and underwater zoo with more than 33,000 living creatures including sharks and rays housed in an overhead 270 degree acrylic walkthrough tunnel. The Dubai mall attracted 54 million visitors in 2011. Nice, comfortable coffee shops and food outlets in good locations are increasingly important, as malls become places to meet and interact with friends and family. It is no longer simply about a shopping experience. Food courts are increasingly popular with a number of different takeaway units around a central shared seating area. These work well for both consumers and developers, the shoppers have multiple choices, such as salad bars, pasta outlets, sandwich bars, burgers and ethnic food. Because these food outlets share a common seating area, the developers achieve a higher rent per m2. Some retail developers are going even further and bringing sound specialists in to create soothing retail environments. Retailers in Glasgow airport saw between 3 and 10% increase in sales after a calming birdsong soundtrack was introduced to public areas. Specialist scent consultants can provide scent air triggers outside a store to lure the customer in, and aromas inside the store that match the customer profile. Ambient scenting has been shown to make people stay longer in fragranced areas, and the longer they stay the more likely they are to purchase. One amazing new development is Boxpark in London’s fashionable Shoreditch. Shipping containers have been stripped and refitted to create unique, low cost, low risk ‘Box Shops’. These are occupied by a unique mix of international and UK fashion designers and lifestyle brands, galleries and Cafes. This is the world’s first ‘Pop-up mall’ – as its basic building blocks are moveable. Creator Roger Wade says, ‘I was always fascinated by shipping containers – the idea of Boxpark was a fusion of many personal ideas over time. I wanted to create something on a grand scale by using shipping containers and offer retailers short leases, versatility and cost-effective retailing that made sense – the antithesis of the out of town shopping mall. And at the same time a place where the kids could just hang out and have fun’. Sam Kirk, Director of leading specialist firm BCI Design, comments, ‘The future retail experience must be events driven with cultural and sporting programmes that are executed by the best centre management teams. From catwalk fashions shows promoting local talent, farmers markets selling the best locally sourced fresh products, retro furniture and antiques markets, musical events to classic car rallies’. Westfield shopping centre in London has embraced this idea with regular theme events. They will celebrate a travel event from 26th to 28th October sponsored by Virgin travel, showcasing travel media, travel agents, tourist destinations, airlines, and holiday fashion retailers. The event will be enhanced with the presence of Olympic snowsport athletes, photography classes, and advice from a bootcamp specialist on getting fit for a winter sports holiday. Social media is becoming increasingly important in shopping centre marketing. Westfield shopping centre has an amazing 225,000 likes on their facebook page. Mall of America’s facebook page has over 400,000 likes. The owners of malls are finding this a cost effective way of getting their messages across to people who are genuinely interested in their offer. However the key to really effective retail marketing is flexibility. Francesco Terra of global developer Sonae Sierra reports that they are now using their marketing budget in Greece to provide petrol vouchers to people who visit the mall. Consumers are so cost conscious during these times of austerity that numbers were dropping because of the expense of getting to the mall. Competition is the Mother of innovation and we can expect big changes in Ljubljana’s retail scene in future with the arrival of new schemes. Jacqueline Stuart is a Director of S-Invest.